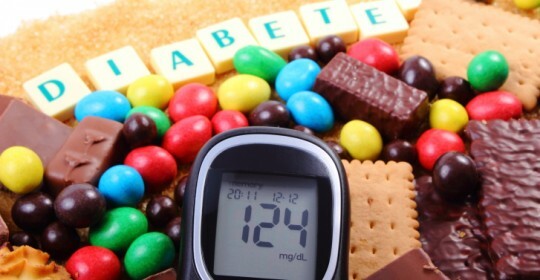 Darwin Dietitians | Has A Cure To Type 2 Diabetes Been Found? Almost 1 million Australian adults now have type 2 diabetes, which is characterised by excessive sugar in the blood. Put simply, this occurs because the pancreas begins producing low amounts of insulin, the hormone that moves sugar out of the blood and into your cells. It has always been seen as a progressive condition, and nutrition research has therefore focused on treatment rather than cure. For example, foods that help lower blood sugar levels are well-studied, with ginger being prominent. For this study, 27 obese participants (18 type 2 diabetics and 9 without diabetes) were measured for weight, fat levels in the pancreas, and insulin sensitivity before and after bariatric surgery. Those with type 2 diabetes had been diagnosed for an average of 6.9 years, and all for less than 15 years. Most notably, those with type 2 diabetes were found to have greater levels of fat inside the pancreas. 8 weeks after the surgery, both groups had lost the same amount of weight- roughly 13% of total body weight. But the type 2 diabetes group also lost on average 0.6 grams of fat from their pancreas, which was specific to them. In other words, the non-diabetics did not have any fat loss around their pancreas. Remarkably, all those with type 2 diabetes no longer required their medication after the follow up at 8 weeks. This suggests the excess fat in a diabetic’s pancreas is specific to type 2 diabetes and is highly influential in its effects. Removal of the excess fat around the pancreas allowed it to function as normal, which improved insulin secretion back to normal levels. Participants were now essentially diabetes free. This research could really shift the way we treat type 2 diabetes in the future, and researchers now have plans to create a larger, longer trial to see if participants can keep that weight off long-term. I want to note that surgery is certainly not the only way to reduce fat around the pancreas, nor is it the safest or most affordable option. It was just used in this study to “fast-forward” the results. The same results can be achieved through a healthy diet tailored to your specific needs, as well as regular exercise. However, there is no way to specifically target fat around the pancreas. That will just come with time as you lose overall weight. Some people lose weight in their legs first, while others it will be in the abdominal region. As always, consistency is the deciding factor. If you want to better manage your diabetes, or reverse it altogether, come chat with us here at Darwin Dietitians. We can create a detailed and individualised meal plan that will help you on your way. Simply call us on 08 8927 3700 or enquire online here.